Luis Suarez scored twice as Barcelona won at Real Madrid in a smash-and-grab El Clasico to reach a sixth consecutive Copa del Rey final. 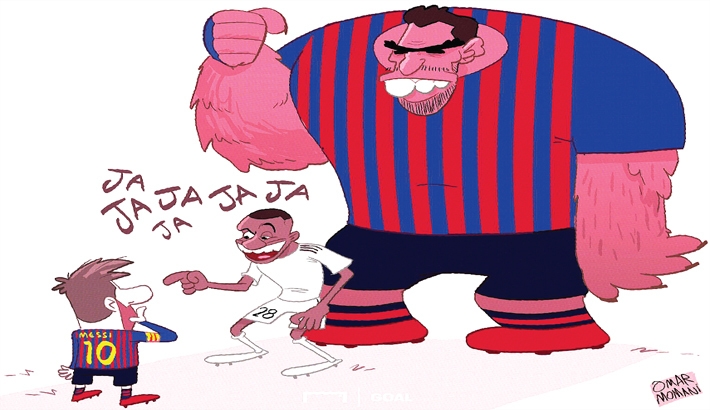 Real dominated with 14 shots to Barca’s four but the visitors specially Suarez, were clinical when it mattered. Both sides - who had drawn the first leg 1-1 - meet again at the Bernabeu on Saturday in La Liga. Earlier, Suarez scored a hat-trick as Barca hammered Real Madrid 5-1 in El Clasico back in October, a result which cost Julen Lopetegui his job.